This won’t be the first place you’ll read this, but if you’re looking at E9 BMW coupes, Alfa GTVs, fixed head Jaguar E-types, and more, and thinking “Confound it, man, I’ve missed the boat, and it’s already half-way across the Atlantic!”, perhaps it’s time to accept that the ship has sailed and retrain your focus on the ones that have yet to leave port. And just like with travel, buying your ticket in advance can get you some surprisingly good deals, like on the E24 BMW 6-series, which is clearly in the purgatory between old-used-car and classic. 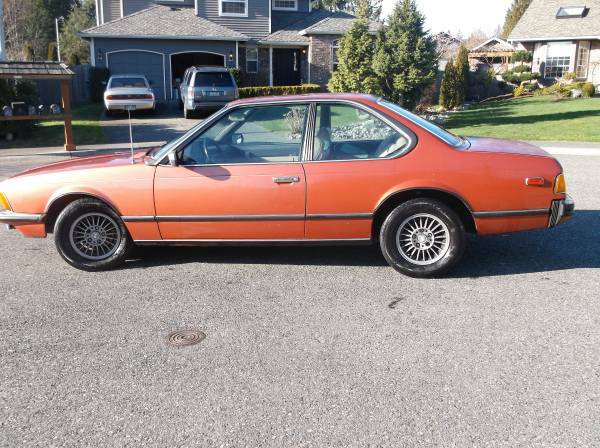 Check out this 1980 BMW 630 CSi for sale for $2900 in Silver Firs, WA. The metallic burnt orange color is oh-so-70s, but also back in style, and looks better than you’d think any shade of orange could on a car like this. An early-style, small-bumper grey market car wearing turbine wheels and chrome side mirrors, it really shows off the elegance of this timeless design. The overall condition looks good, with glossy paint, a straight body, and all the trim present. 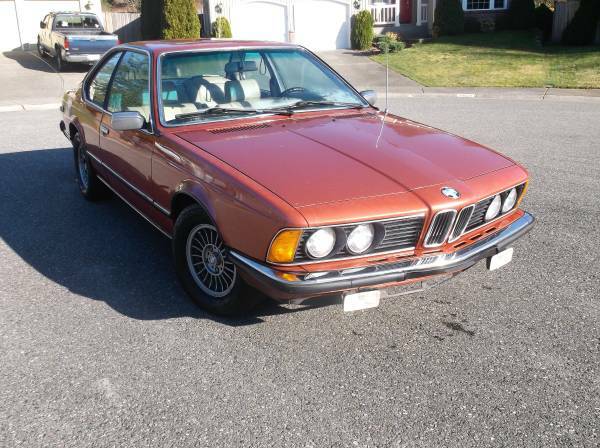 The car is said to have a sunroof, working electric windows, and a leather interior which the seller ranks 7 out of 10.
this 1977 BMW 630CSi for sale for $500 in Seattle, WA. Wow. This looks like a car that was at one point updated to look more like the later, E28-based 6-series, but due to neglect/angry ex-spouse/aggressive plants has been thoroughly overgrown in moss, blackberries, and dead leaves and sticks. Just think, without much difficulty you could reduce the weight by a hundred pounds! 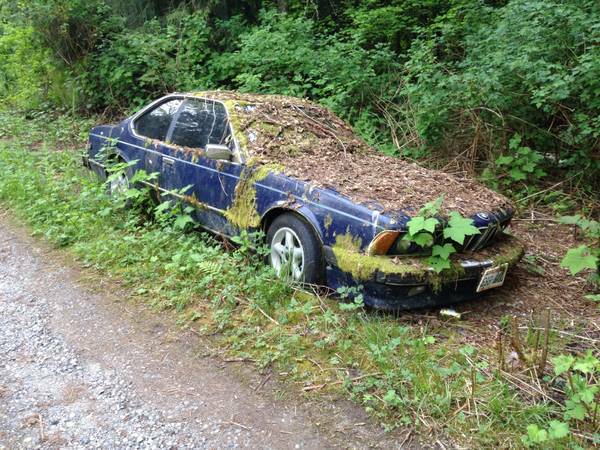 You’d want to be sure the owner actually has the title, as this car looks like a side-of-the-road forest find. And the description doesn’t give much indication – the seller has the keys but can’t get the doors open, and it’s said to have run when it was parked. This looks like a prime candidate for the next Concours d’Lemons – can you force it to drive down to Carmel? This entry was posted on June 9, 2015 at 1:31 pm and is filed under Feature. You can follow any responses to this entry through the RSS 2.0 feed. You can leave a response, or trackback from your own site.